Q. You got to spend timewith all of the Twilight stars. What were some of your favorite moments when the cameras stopped rolling? 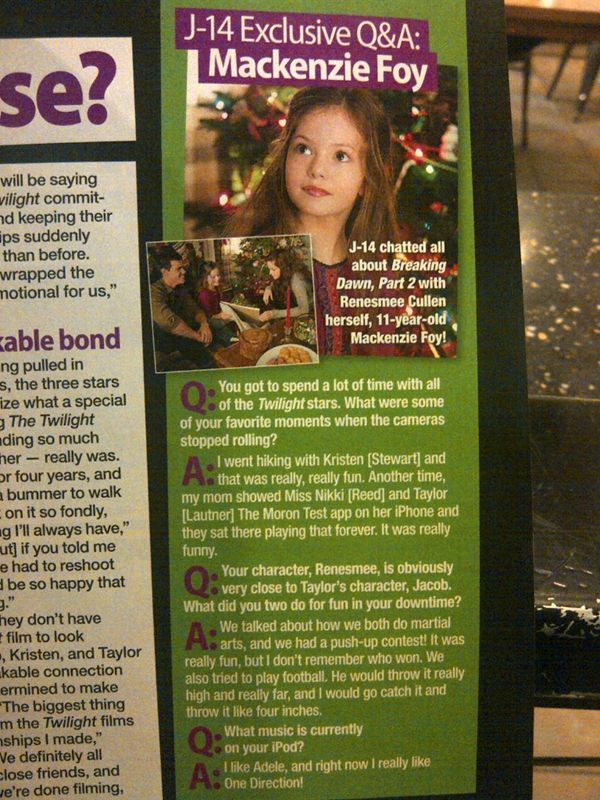 Mackenzie: I went hiking with Kristen (Stewart) and that was really, really fun.